Make Your Own Hot Cross Buns! 1. Heat 200ml milk gently in a pan along with the cardamom, cinnamon, cloves, nutmeg and saffron until just boiling, and then turn off the heat and leave to infuse for 1 hour. Bring back up to luke-warm temperature and then mix the strained milk with the yeast and 1 tsp sugar. 6. Meanwhile, mix 1 tbsp caster sugar with 1 tbsp boiling water. When the buns come out of the oven, brush them with this before transferring to a rack to cool. Eat with lots of butter! 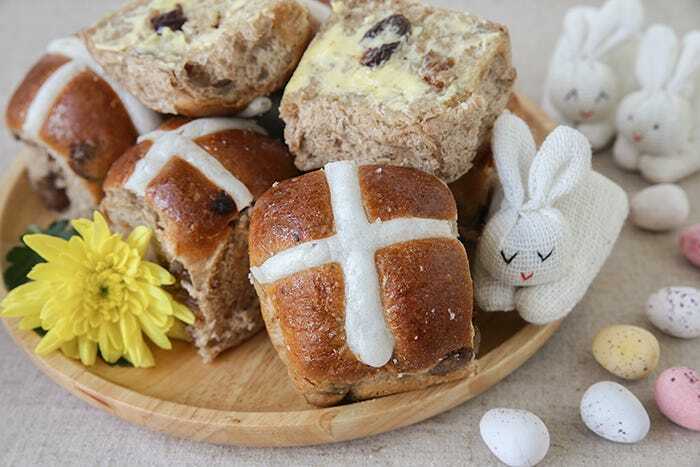 We would love to see photos of your Hot Cross Buns! Please send them to creative@cosyfeet.com and we’ll feature them on our social media pages or the website.